Long a traditional wedding present, The Nuptial vase was originally gifted to new brides as a small bedside carafe. With the arrival of running water 50 years ago, however, these vases became purely ornamental and began growing in size and decoration. Usai’s version is embellished with the classic Sardinian symbols of roses, leaves and miniature “pavoncelle” (birds), one of the island’s most iconic symbols. The vase is by Walter Usai, a fifth generation potter. The Usai family's inter-generational story is only one of many in the small town of Assemini, known as one of the poles of Sardinian ceramic production. Walter's particular style is rooted in the inimitable texture that comes from his shaping of details and decorations. A master of form, he is able to create vases that are at once timeless and deeply rooted in Sardinian history. As all of our collection is handmade by artisans, small inconsistencies may result in the finished product. These personal touches are what distinguish our objects from their industrial counterparts. 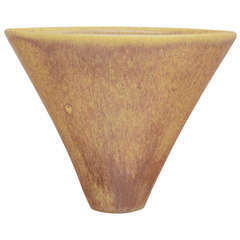 Peter Beard vase Impressed artist's signature to underside. 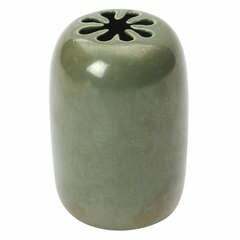 A high-walled vase having a rich crystalline light green glaze and an expressive floral-form opening. 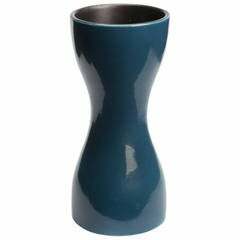 Vintage West German art vase from the 1970s with a beautiful blue glaze and with no cracks or chips. 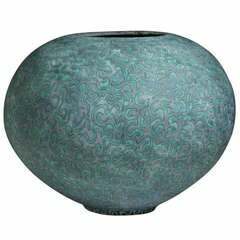 A rare Jouve form with a beautiful flat blue glaze. 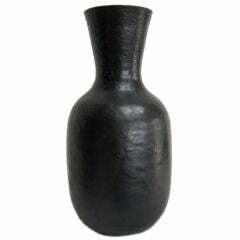 The interior of the vase is Jouve's signature gunmetal black. Signed "Jouve" and with the artist's Apollon cipher. A great ceramic vessel by Frans Wildenhain. "Bologna" Vase by Miri Mara Black matte ceramic.